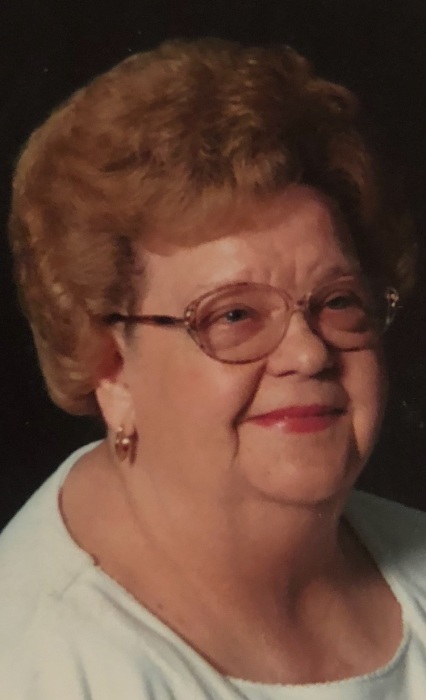 Hagerstown, Maryland-Sally Margaret Shifler, 87 of Hagerstown, MD passed away on Monday February 11, 2019 at Williamsport Retirement Village. Born March 24, 1931 in Martinsburg, WV, she was the daughter of the late Hobert C. Sr. and Nina M. Price Rickel. She was preceded in death by her husband James Carl Shifler in 2010. She was a member of Rehoboth United Methodist Church in Williamsport, MD. Sally is survived by a daughter Brenda Yesacavage and her husband Don of Hagerstown, MD, 3 sons J. Michael Shifler and his wife Sharon of Smithsburg, MD, Randy Shifler and his wife Angie of Cearfoss, MD and Ron Shifler and his wife Peggy of Williamsport, MD, her loving grandchildren Patrick and wife Candace, Nicki and husband Jason, Nick and wife Kym, Rachel and Lauren and husband Tyler, her loving great grandchildren Keegan, Daphne, Breleigh and Adalynn and a sister Carol Davis. In addition to her husband and parents, she was preceded in death by a sister Doris Rickel and a brother Hobert C. Rickel, Jr. The family will receive friends on Wednesday February 13, 2019 from 6:00pm-8:00pm at the Osborne Funeral Home 425 S. Conococheague St. Williamsport, MD 21795. For the convenience of family and friends the funeral home will open Wednesday at 9:00am. Funeral services will be held on Thursday February 14, 2019 at 11:00am at the Osborne Funeral Home with Pastor Michael Bennett and Pastor Kevin Smoot officiating. Burial will follow at Cedar Lawn Memorial Park in Hagerstown, MD. Memorial donations may be made to Rehoboth United Methodist Church Building Fund 30 E. Salisbury St. Williamsport, MD 21795 or Doey’s House 747 Northern Ave. Hagerstown, MD 21742.